Soghomon Soghomonian – Komitas after his ordination – was an Armenian priest, musicologist, composer, arranger, singer and choirmaster who lived between the 26th of September 1869 and the 22nd of October 1935. Komitas is considered the founder of Armenian national school of music, and is recognized as one of the pioneers of ethnomusicology. Educated at the Gevorgian Seminary in Etchmiadzin, Armenia’s religious centre, he was ordained a celibate priest in 1895, he then transferred to Frederick William University in Berlin. He later forged his Western musical education into building an uniquely Armenian national tradition. His music on Atmosphères, interlaced into that of Tigran Hamasyan, Arve Henriksen, Eivind Aarset and Jan Berg shrewdly transports the Komitas tradition into the 21st century. Throughout the two-disc set there are pieces by the quartet that pay a largely unpaid debt to the music of Komitas, despite many worthy attempts including Gomidas Songs (Nonesuch, 2008), sung by Isabel Bayrakdarian and accompanied by the Chamber Players of the Armenian Philharmonic and pianist Serouj Kradjian, which was nominated for a Grammy Award in the “Best Vocal Recording category”, followed by a “Komitas” tour with concerts in Toronto, San Francisco, Orange County, Los Angeles, Vancouver, Boston and New York’s Carnegie Hall where she was accompanied by the Manitoba Chamber Orchestra conducted by Anne Manson, and pianist Serouj Kradjian. Among the other performers of his music are Evgeny Kissin and Grigory Sokolov. These discs are altogether different, and the music is all instrumental, infinitely more challenging and among other things extraordinary in breadth and nobility. One of the more striking aspects of the approach of Tigran Hamasyan, Arve Henriksen, Eivind Aarset and Jan Berg is their inerrant sense of timing. There is no rush to arrival: every scintillating detail is savoured at leisure, without a trace of decadent indulgence. Lyrical passages (especially those in the “Tsirani Tsar”, “ “Gurun a” and “Shushiki” pieces), so often sunk by the weight of misplaced rubato, here speak with an earnest ardour, lending them a disarming, youthful freshness. That being said, tempos are amply pliant and rubato, when applied, is richly luxuriant. The rhythmic spine of the material – even without the use of the bass – always remains intact, so that rhetorical thrust is never lost to overuse of recurrent, cadenced detail. Nowhere is the music short of perfection. The scrupulously observed dotted semiquaver/demisemiquaver figures in the quartet’s “Traces” movement VIII, masterfully fix its funereal character and dignity. The desolate laments at the beginning of Disc Two offer a hint of incense and speak of ancient inconsolable sorrow. Most remarkable here is how the lassaú unfolds in an integral, coherent whole, rather than stopping and starting in a series of mini-climaxes. The friss famously incorporated by Komitas into his music arrives in “Hoy Nazan”, as if by insinuation as a whispered suggestion of tinkling bells. Elsewhere (in the final “Traces” movements) Komitas’ Armenia emerges as craggy, inscrutable, enigmatic utterances whose smouldering fire affords the heat of a blue flame. Their apt realization is richly imaginative and like no other. 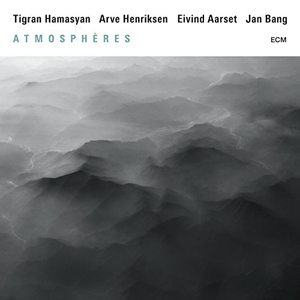 This impeccably recorded set – led by Tigran Hamasyan and Arve Henriksen, with Eivind Aarset and Jan Bang always nipping at the heels of the forerunners – is impeccably recorded (which ECM recording isn’t) and is thoughtfully and reverently conceived, to capture the magic that Komitas invested in his richly evocative pieces, unique in 19thcentury literature. But the breathtaking work of Tigran Hamasyan, Arve Henriksen, Eivind Aarset and Jan Bang is never far behind. 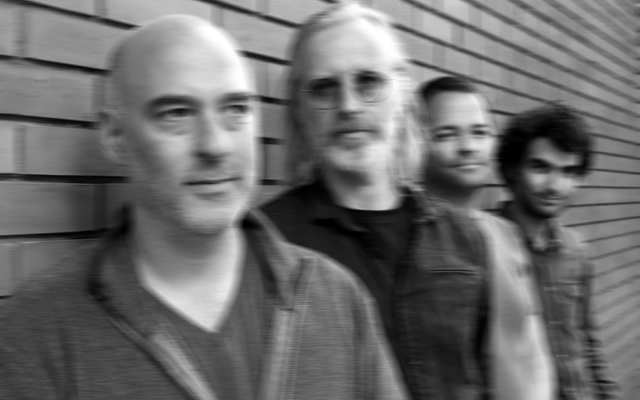 Track List – Disc One – 1: Traces I; 2: Tsirani Tsar; 3: Traces II; 4: Traces III; 5: Traces IV; 6: Traces V/Garun A; 7; Traces VI; 8: Garun A. Disc Two – 1: Traces VII; 2: Traces VIII; 3: Shushiki; 4: Hoy Nazan; 5: Traces IX; 6: Traces X; 7: Angel Of Girona/Qeler Tsoler. Personnel – Tigran Hamasyan: piano; Arve Henriksen: trumpet; Eivind Aarset: guitar; Jan Bang: live sampling, samples.